If you're able to hold and find yourself in correct spinal alignment, it puts less cause onto your spine and allows the surrounding muscles to work most effectively. A straight line can be drawn from just below the ear, shoulder, third lumbar vertebrae, hip and the front of the ankle to be able to identify the ideal alignment of your posture. 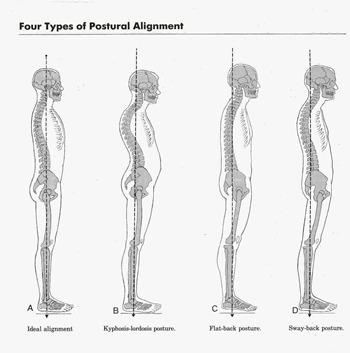 Your body is unbalanced if you have poor posture. Different postures can cause more pressure on the spine, and require different muscles to be in use and overwork to be able to hold that position. Your posture is crucial to optimal physical function. The three main types of bad posture are flat back, kyphosis/lordosis and sway back. Signs of poor posture include forward head, slouching, rolling forward of the shoulders and an increased curve in the lower back. 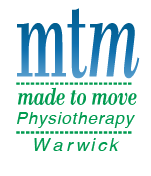 At MTM Physiotherapy Warwick, our Exercise Physiotherapists are trained to assess your posture, provide you with the appropriate exercises and educate you to ensure you make postural improvements for the future.